A newly excavated Roman village in the central Golan. 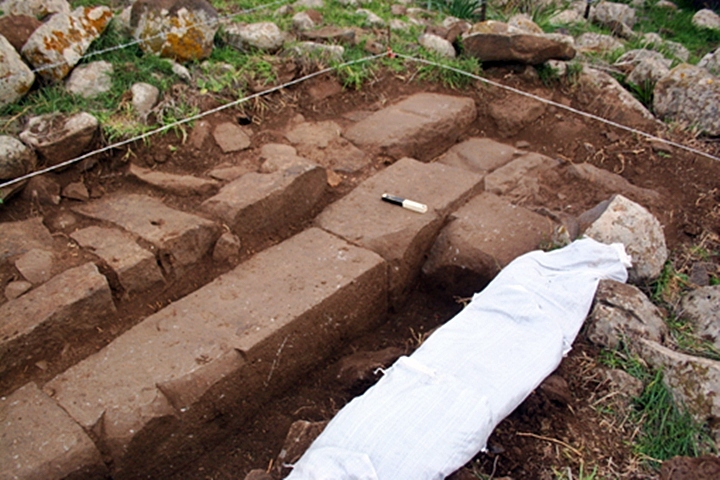 A large public structure, perhaps a synagogue, was found. 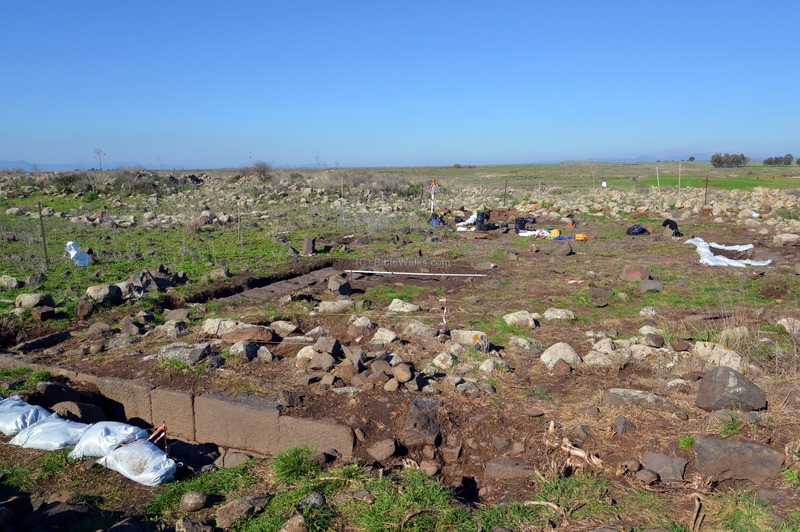 Newly discovered ancient synagogue in Golan! 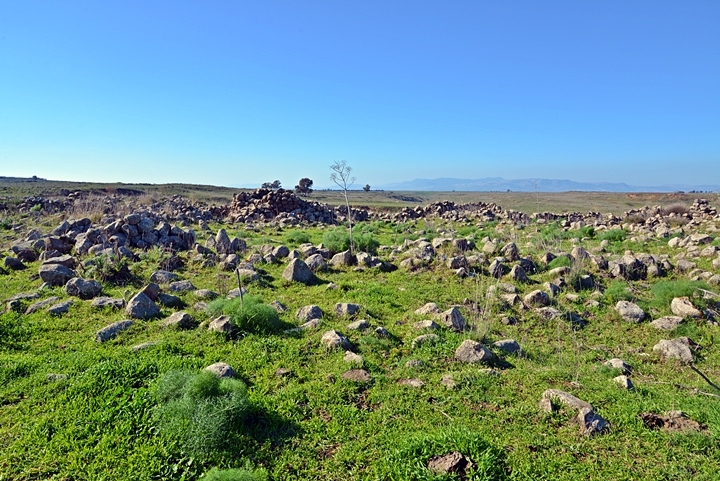 In Khirbet Majduliyah, near Moshav Natur in the central Golan Heights region, are scattered ruins dated to the Roman period. 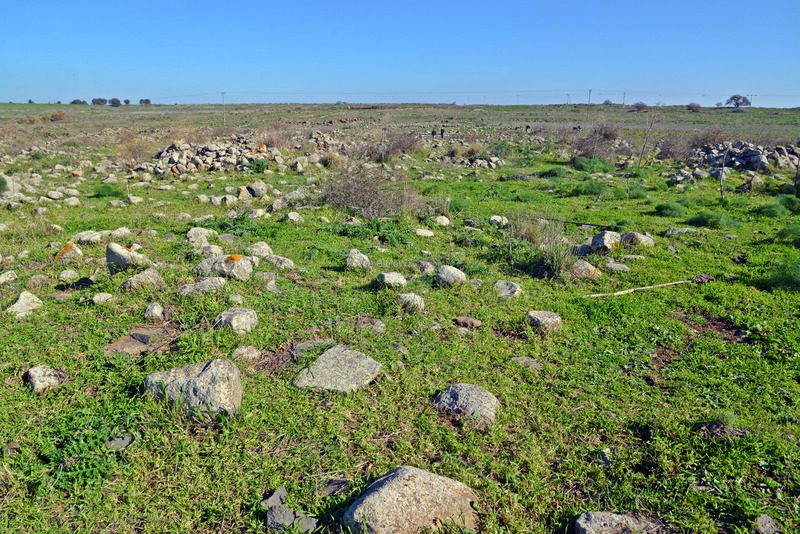 In December 2014 a large public structure were discovered here, which may have been an ancient synagogue. The site was inhabited during the early Roman period. Kh. Majduliyah is located 2km north east of Natur. It is at a height of 413m above sea level. To reach the site, you can park the car at the bend of the road, then walk about 250 to the west. However, due to the active excavation, the site is now closed to the public. The Romans annexed the land of Israel in 63BC. General Pompey implemented political reformations, removing the Golan area from the Hasmonean state. He reassigned the north-eastern parts to the Itureans, an Arab tribe who received parts of the Galilee and the Golan. The Itureans are referred in Luke 3,1: "Now in the fifteenth year of the reign of Tiberius Caesar, Pontius Pilate being governor of Judaea, and Herod being tetrarch of Galilee, and his brother Philip tetrarch of Ituraea". Herod the Great, a Jewish Roman client King of Israel (39BC-4BC), subdued the Itureans (23BC) following their inaction against outlaws. As a result, Augustus Caesar gave the central and northern Golan area to Herod (20BC). Josephus writes about this (Wars 1 21 3) : "And when Caesar had further bestowed upon him another additional country,...". The central area of the Golan heights witnessed a dramatic increase in the number of Jewish villages during the end of the 1st C BC, at the times of King Herod, from virtually none - to 20 or more villages. The reason was due the fact that after receiving the area from Augustus Caesar, Herod relocated Jewish settlers to this area in order to populate his new territories. This site was one of the Jewish villages that were established at this time. Other villages are located at a close proximity, such as Em-Hakshatot (3KM southwest), Deir Aziz (5KM west), and Kaspin (Haspin-Haspiyah, 3KM southeast). The villages were based on agriculture: olive oil, wine, fruits, sheep and crops. They were established in sites with sources of water (natural springs), since the Golan heights are like a desert and the summer is very hot and dry. The villages sold their products to the large cities (such as nearby Tiberias and Damascus) and also exported their products to the Roman world. The village is located 1.2km south of the main Roman road from Tiberias to Damascus, which is another factor why this and so many other Roman villages are found in this area. The visible ruins are scattered over an area of about 180m (west-west) by 110m (north-south), or a total of 20 Dunam (2 Hectares). The village was established at the beginning of the 1st Century AD, and continued until the end of the 3rd Century or during the 4th Century. The excavation is currently (Dec 2014) in progress in order to collect more information on the site. The settlement at this site did not continue to the Byzantine period. The reason for the destruction of the village not known, but it may be due to the 363AD earthquake which hit the region strong. The site was not resettled, which makes the work of the archaeologists easier. 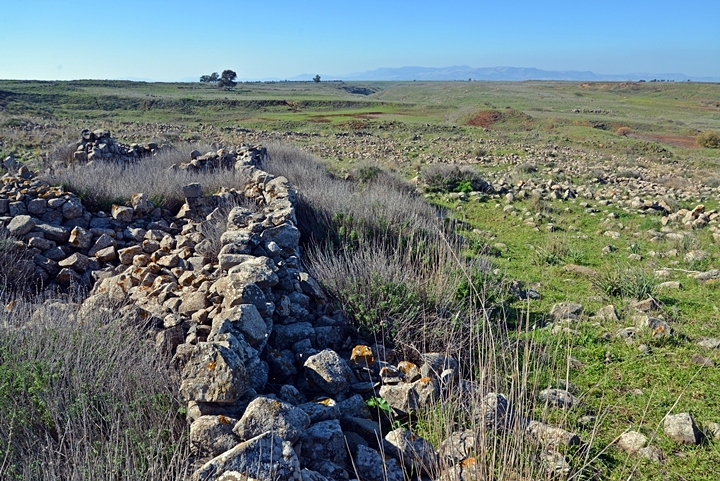 The peak of settlement activity in the Galilee and the Golan was during the Byzantine period. Many Jewish villages are found with grand synagogues. Most of the villages were destroyed during the Arab conquest. Natur started as a Kibbutz, and was established in 1980. The new settlement was built near the cliff overlooking the Sea of Galilee. In 2008 the Kibbutz changed its settlement form from a Kibbutz (collective community) to a Moshav (cooperative community). 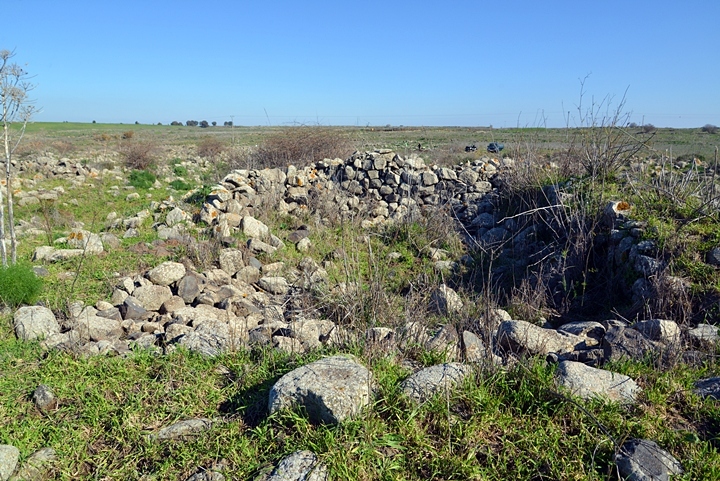 In 2014 Dr. Mickey Osband performed an archaeological survey in the village Majduliyah, on behalf of the Institute of Archaeology at the Department of Land of Israel Studies at Bar Ilan University. In the ruins, located near his home in Natur, he discovered traces of a large Roman public building. This survey was followed by an excavation which started in December. 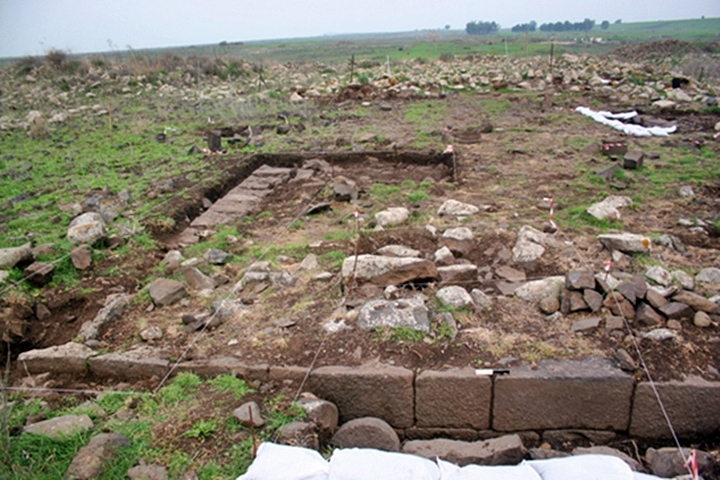 According to Dr. Osband, now in his post- doctorate at the Zinman institute of Archaeology at the University of Haifa, the excavation data so far identifies this building as an ancient synagogue. He bases this identification on similar designs of 1st Century AD synagogues found in Gamla and Magdala. If it is discovered is indeed a synagogue, this may be a rare discovery, as only few of such village synagogues were found dated to the early Roman period. The community continued until the middle of the fourth century at the latest, and discontinued in the Byzantine period. The continuation of the excavations, on behalf of the Bar-Ilan University, will illuminate more information on this issue . The ruins of Majduliyah are scattered in an area of 20 Dunams (2 Hectares). This photo is a east view from the center of the village. In the middle of the background is the small team of archaeologists working in the area of the public structure. Some of the structures are preserved to a height of 1m. 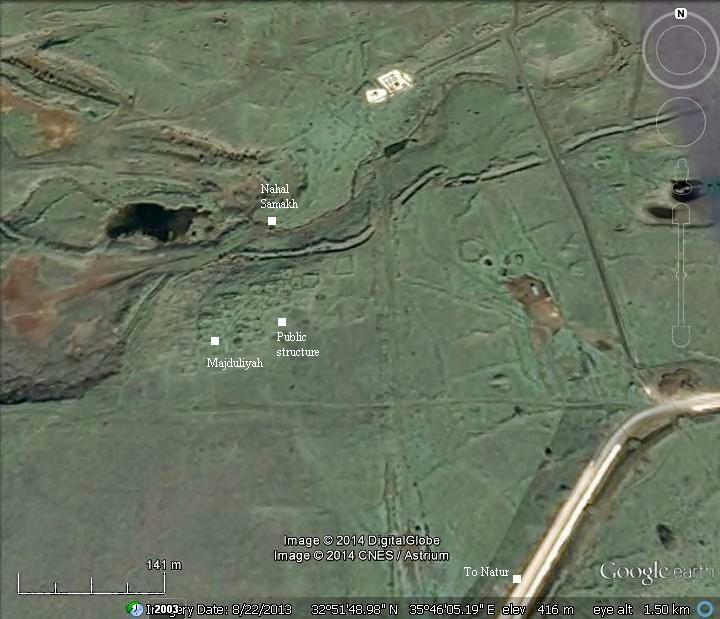 According to Dr. Osband, there are remains of two oil press installations. The source of the water supply was from springs along the Samakh stream, which passes on the northern edge of the village. Another northern view of the ruins of the site is seen in the next photo. More of the ruins, on the western side, are seen below. The excavations in Dec 2014 started in the area of the public structure. This section is located on the eastern side of the ruined village. The long axis of the structure is oriented north to south, probably facing Jerusalem. 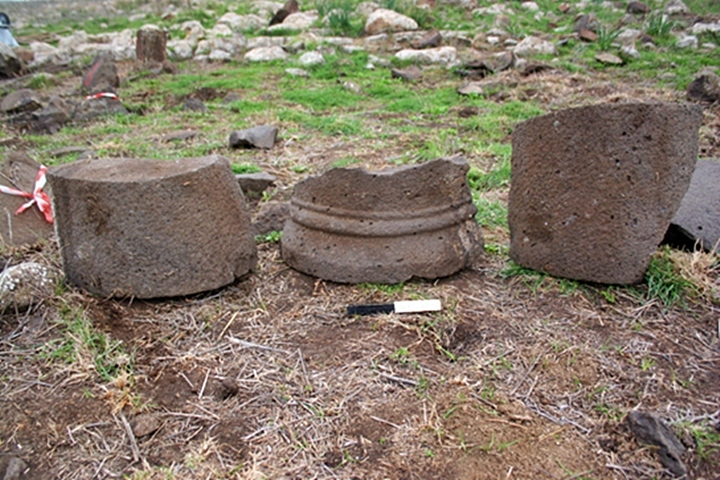 The ashlars are made of smoothly hewn basalt, which is the local stones in the Golan area. In the photo below the peripheral wall on the south west corner is seen from a closer distance. Rows of benches are adjacent to the walls of peripheral, typical of a Roman period synagogue. The benches surround the entire structure. Architectural elements were found in this area, also implying that this public structure was a synagogue. These photos were captured by the director of the excavations, Dr. Mickey Osband. We thank him for the photos and explanations, as well as the presentation he gave us during our visit to the site. Natur - cooperative community settlement (Moshav) in the central Golan heights area. The name is derived from the the Arabic name of the hill - Tell el-Montor (hill of the guard). Note that In Hebrew the word "Notter" also means guard , as in the Hebrew version of the Bible (Songs of Solomon 1 6): "...they made me the keeper of the vineyards; but mine own vineyard have I not kept". Majduliyah - Majd means in Arabic: Glory. Perhaps this is the source of the name?